All around our Area we see faithful members with a copy of the Area Plan on a little card in their pockets or tucked in their scriptures. One of the three priorities in the Area Plan is that we “Love and Serve One Another”. Those five words beautifully describe what it means to be a disciple of Jesus Christ and how we can follow Him. The Area Plan gives us two specific goals for how to show our love for others and serve them. These goals are simple and I have a testimony that the Lord will bless us as we make them a part of our prayers and our daily lives. Here is a personal example. 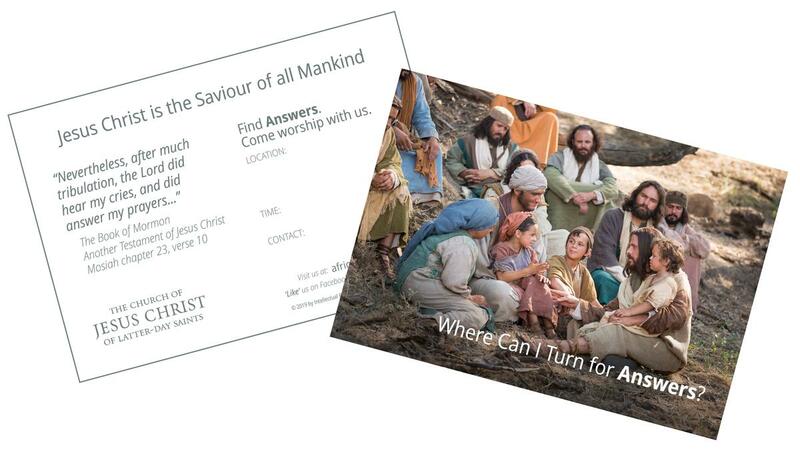 I love to take pass along cards with me and invite people to come to church or meet with the missionaries. Several months ago, I was eating dinner at a fast food place and got talking to a fine young man who was serving our table. Collin is from Zimbabwe and so I mentioned that I had recently been to church in Harare and invited him to learn more about the church. He said he had a brother who years ago had taken him to the LDS church in Harare and that he would be pleased to meet with the missionaries. His brother had since passed away and Collin clearly has an ache in his heart and soul that only the gospel will fill. The next time I met Collin he was excited to tell me about his visit with the missionaries and had a wonderful light in his countenance. Collin then shared that over ten years ago when he came to church he had actually become a member. He had attended with his brother for a season but had not been back for many years and did not remember a lot about the teachings. In other words, he was what we sometimes call a less active member. We invited him to attend church the following Sunday and with great anticipation met him outside the meetinghouse so he would have someone to sit with during sacrament meeting. The members of the ward were friendly and welcoming, the classes well taught and full of the Spirit and Collin expressed a desire to return. The next week, Collin came dressed in his Sunday best. He was welcomed by a wonderful ward mission leader who especially waited outside for him, greeted him warmly and began introducing him to others. Many ward leaders and members reached out to Collin with love and kindness, and he is now progressing on his journey to full activity, lifted and buoyed by participating in the ordinance of the sacrament and supported by loving members and leaders in his ward. He is also being greatly blessed by the knowledge of the Plan of Salvation which assures us of the eternal nature of families and that he and his brother will be together again. This simple experience is repeated every week all over our area as members reach out, one by one, to both less actives and those not of our faith. The Lord is putting people in each of our paths and will use us as His hands if we do our part. Through these seemingly ordinary experiences, many lives can be blessed in extraordinary ways. For example, after his second time in church, Collin decided to share the gospel himself by reaching out and inviting a friend also to come. In his beautiful book, One by One, Elder Bednar says, “I believe that in the work of the Lord there is no such thing as a coincidence. And tender mercies are divinely orchestrated by God because the worth of souls is great in the sight of God.” So it is that I believe with all my heart that meeting Collin was not a coincidence but a tender mercy from the Lord because of His great love for one of his precious sons who had slipped into inactivity and become lost. One year ago President Monson gave the Seventies this charge: “As you meet with members, emphasize the importance of reaching out to those who, for whatever reason, have slipped into partial or complete inactivity. I am confident many will welcome the invitation to come back. As individuals are brought back to the joy of the gospel of Jesus Christ, lives will be blessed, and souls will be saved. We invite you to follow the Savior by reaching out one by one, sharing the gospel with those not of our faith and rescuing those who are less active. We know you will also see tender mercies as the Lord orchestrates His work and blesses others through you. Remember the worth of souls is great in the sight of God. And how great shall be your joy with one soul that repents and returns unto Him. 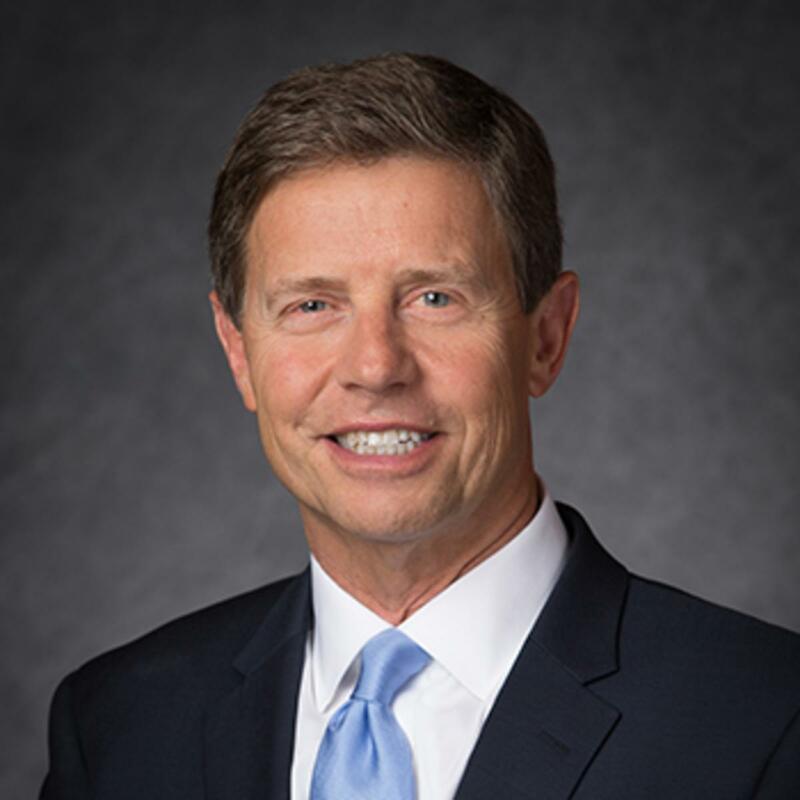 S. Mark Palmer was named a General Authority Seventy in April 2016. He is married to Jacqueline Ann Wood; they are the parents of six children.